The ARC-15 radio console is a powerful, general purpose console that meets the needs for On Air Radio & Radio Production studio applications. Designed to be tough, reliable and flexible, this 15 channel console is cost effective and powerful. If you need a lot of features, but not a big price, the ARC-15 is for you. 15 Channel - 2 Stereo Outputs. ▪ 1 to 5 Mic channels. Your choice, your configuration. ▪ Additional stereo line inputs, for if you choose to have less mic channels. ▪ Channel 1 features a Talk button to talk to a Studio monitor. ▪ 8 to 12 Inputs choose between more mic, or more line inputs. ▪ Trim pot adjustable for each channel. ▪ Active balanced RJ-45 inputs for quick and effective installation. ▪ 2 stereo output buses. Both balanced and unbalanced outputs. ▪ Excellent frequency response on all faders. ▪ Phone channel comes standard, allowing you to connect to a phone hybrid. ▪ Audio & Logic connections available to connect to hybrid. ▪ Listen off-line to a caller using the Cue button. ▪ Talkback button enables you to talk to the caller off-air. ▪ Mix minus feed to the caller is a mix of Pgm-Aud. 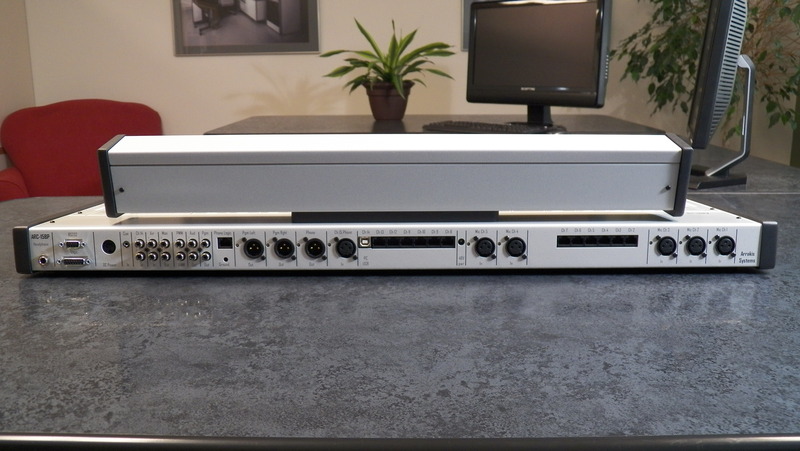 1 to 5 mic channels with the ARC-15 console. This gives you the ability to have more Stereo Line inputs if needed, or more mic channels. ▪ The Bluetooth channel allows you to connect any Bluetooth device to channel 15 on the board. ▪ Connect your phone using the Bluetooth channel to take calls and put callers on-air.